Today we’d like to introduce you to Jay Philbrick. Jay, we’d love to hear your story and how you got to where you are today both personally and as an artist. 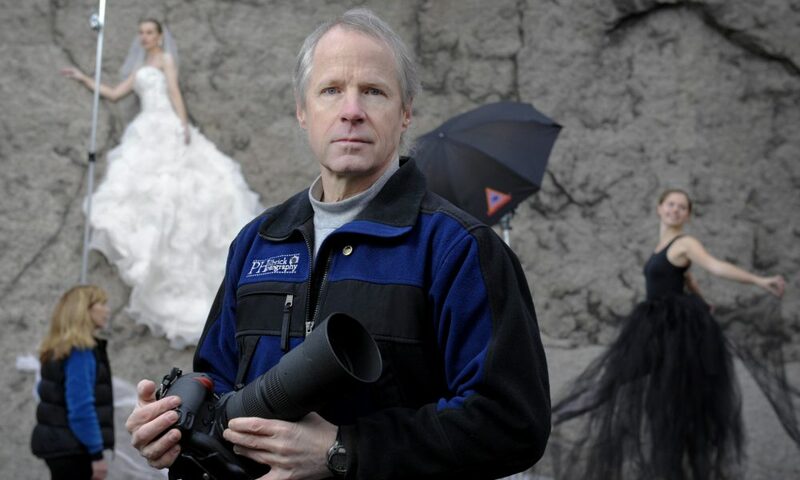 My wife Vicki and I began our photography business about 15 years ago. It’s our full-time business and it’s all that we do. We did our first cliff side session in 2008. 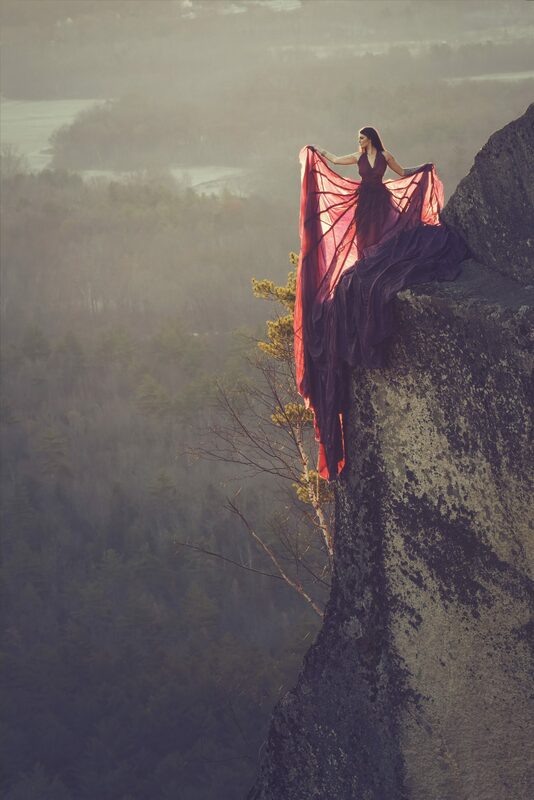 It was inspired by the fact that before going full-time into photography, I was a professional climbing guide. That ledge that we use so often is a ledge that is known to me because of my climbing and guiding days. 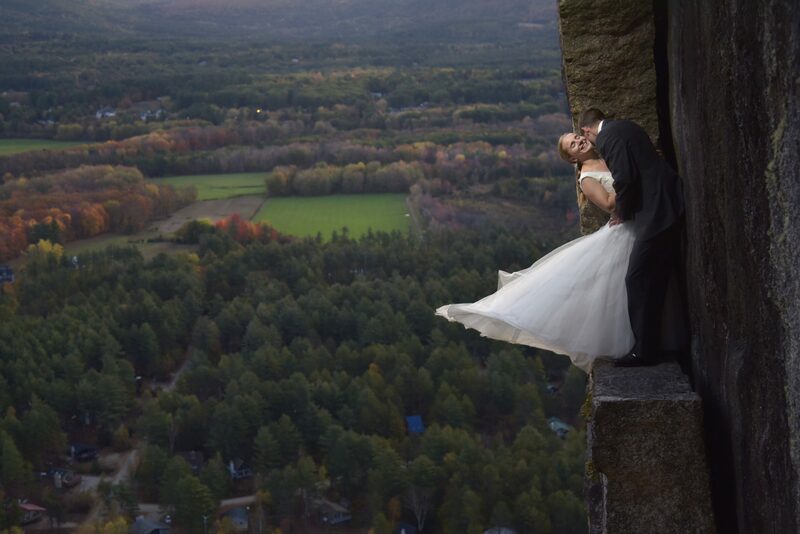 Ever since we began our photography business which focused on weddings I had always wanted to put a couple on that ledge for some photos. I thought that the juxtaposition of a couple against the stark granite cliffs would make for an interesting and unique image. 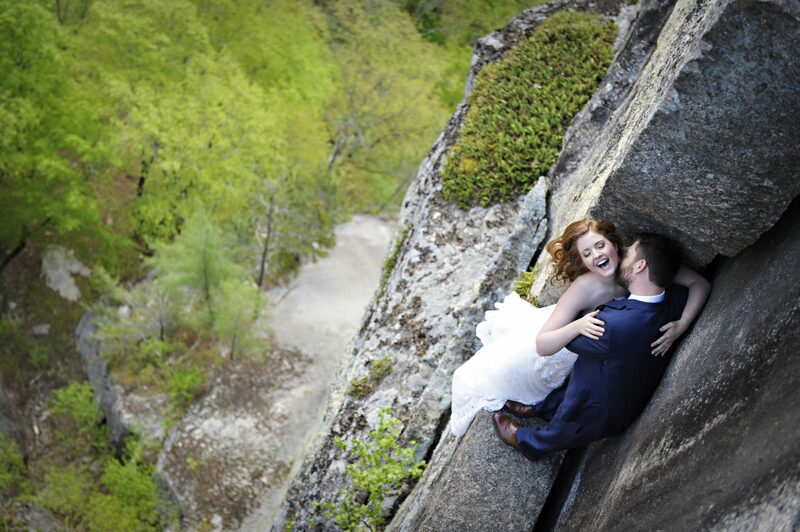 We managed to find our first couple when one of our wedding couples happened to mention that they were rock climbers. I asked them if they would be up for doing the shot and they agreed. That started it all and got the ball rolling. Our specialty is unique portraiture and we are best known for our cliffside work. To pull off one of these cliff side sessions, we start well before sunrise. 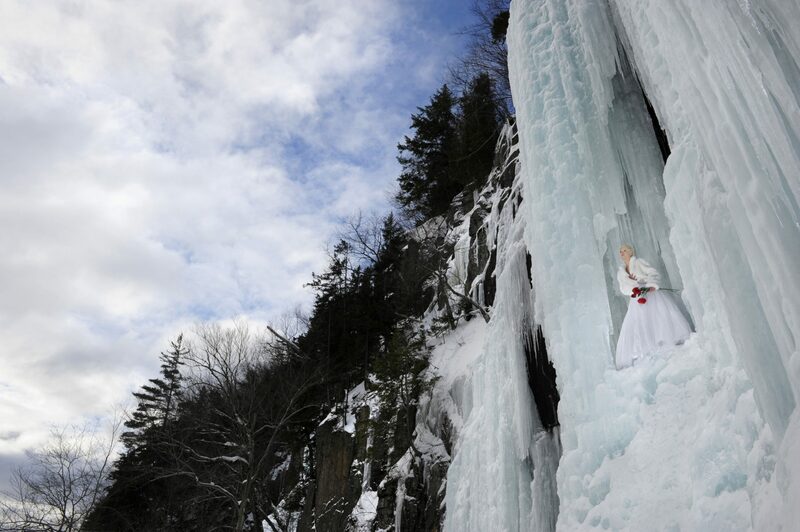 Our goal is to have the couple in place on the ledge, dressed and ready to go, a half hour before the sun comes up. This gives us about a half hour before and after the actual sunrise to capture photos. It gives us two distinctly different kinds of light and looks that we can capture. Sometimes we use strobes to add to the available light and sometimes we only use the ambient light available. I hope the images provide some inspiration to the viewer. 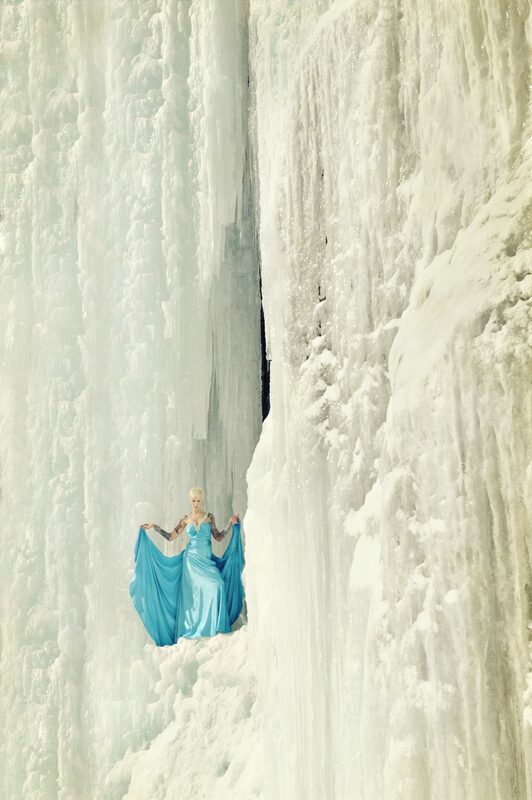 The cliff photos often draw a strong response, positive and negative. 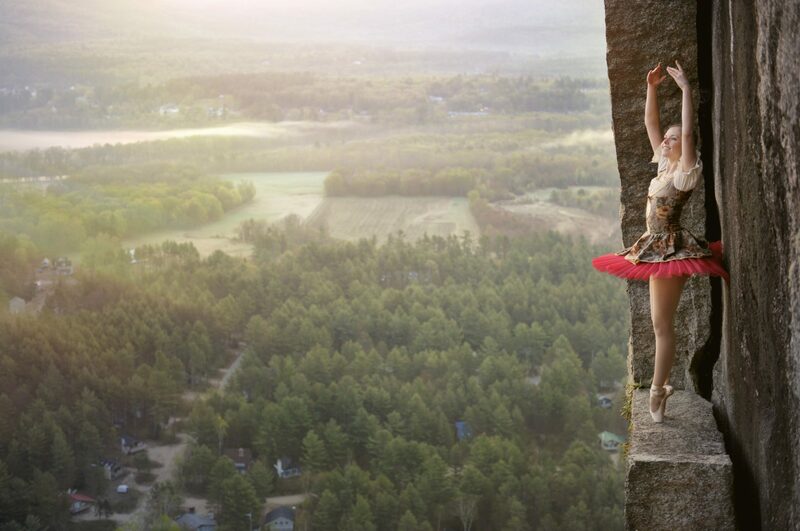 The negative responses are usually due to people thinking the image is photoshopped or the ledge work is too dangerous. neither one of these things is true. There has been no photoshop, what is in the image is what I saw through my view finder and there is a ton of safety work involved which is too complicated to get into here. I think nowadays one really has to commit to what they are trying to achieve and hopefully the artist has an interest or a style that is unique that will allow him or her to stand out from the crowd. This is becoming harder and harder each year. A Google search for Philbrick Photography should turn up lots of links to our work and lead to a number of televised TV segments that really give a good idea of what a session is about. All images to be credited to Philbrick Photography.